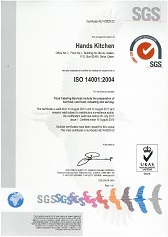 We would like to introduce Hands Kitchen W.L.L. 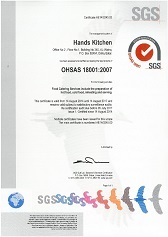 A division of Hands Services Company W.L.L as a certified multi faces catering company capable to handle large volume of orders in the state of Qatar. A state of the art central production facility at wakra act as the main kitchen cable of producing 18000 meals per day over three shifts. Hands Kitchen also operates onsite kitchen provided by clients to cater for specific categories of workers and staff. Our experienced catering managers and supervisors controlled all operations on a daily basis that work closely with the client’s representatives to receive feedback and respond accordingly to improve our services. We currently operate with a work force from various nationalities like Indian, Nepal, Srilanka, Pakistan, Kenya, Philippians, Thailand, Turkish and Continental Dishes who posses valid occupational health license from the concerned authorities. Whatever your event may be rest assured that Hands Catering is here to provide you with nutritious and delicious meals that will best suit your event. Our range of ‘Hands Catering Menus’ are designed to cater to your taste buds, ensure proper hospitality and most importantly allows you to entertain and surprise your guests lavishly. Whether catering for you, your family, your employees or any social or corporate gathering, Hands Catering will deliver the bite that's right for you! Hands Services Company W.L.L is a Company that has been Primarily designed to provide industrial and offshore Catering Services, Civil Services and Information Technology Services and Real Estate. The Company Commenced it's operation in September 2007. The Same Partner-Owner of Desert Wings W.L.L A Company Involved In the Contracting and Catering Services. Copyright Hands services 2015. All rights reserved.